ORIGINAL R.D. 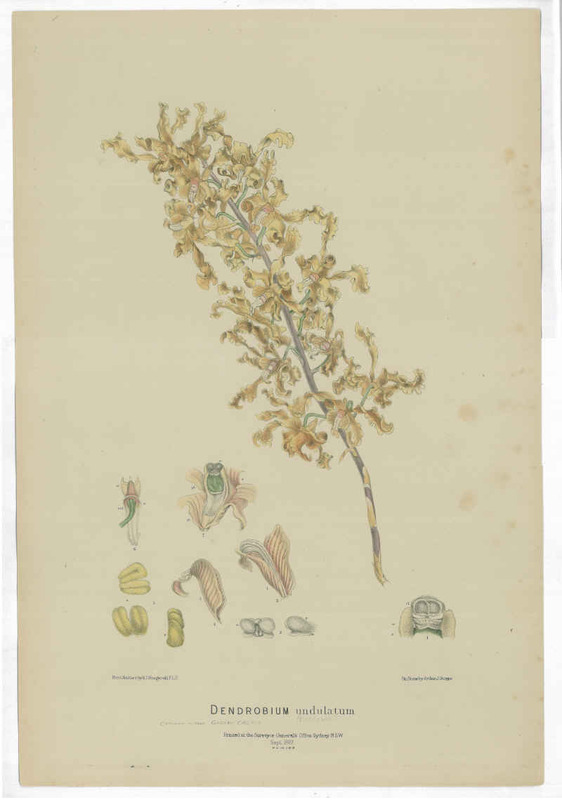 FITZGERALD ORCHID LITHOGRAPHS : Coloured Plates. 1870-1890. 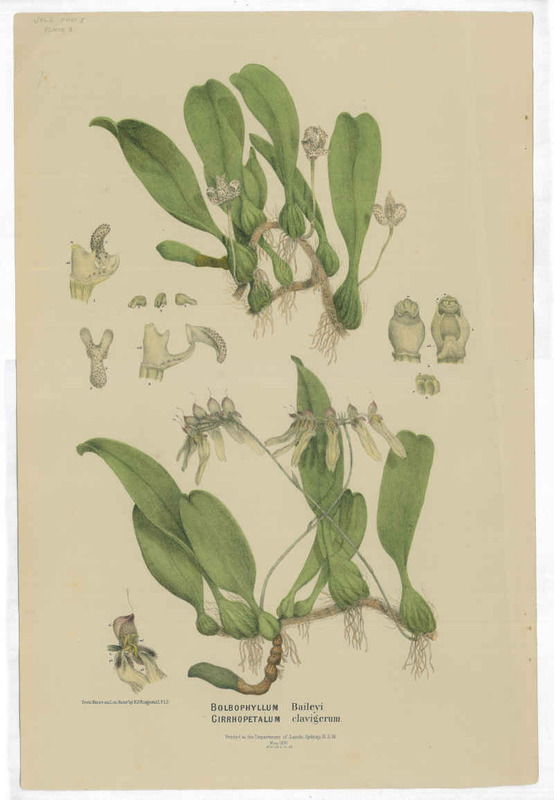 Bolbophyllum Baileyi and Cirrhopetalum Clavigerum Orchids and Dendrobium Undulatum Orchid with letterpresses in good condition. Some foxing and Bolbophyllum with light bend at right. (2 prints). Galeola Cassythoides, Lyperanthus Ellipticus, Saccolabium Hillii and Sarcochilus Parviflorus uncoloured proof orchids with letterpresses in good condition in original Fitzgerald cover. (4 prints). Minor foxing.